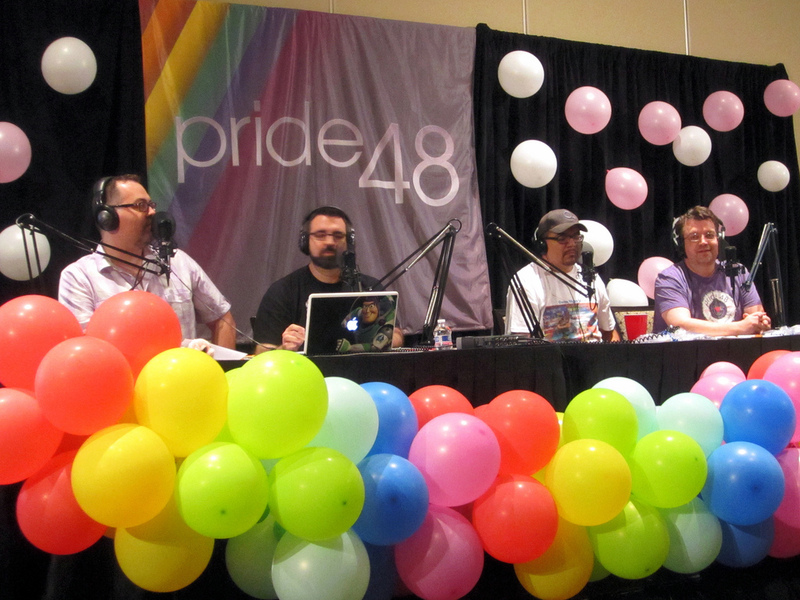 This week’s episode was recorded live in front of a studio audience in Las Vegas at Pride48. We play a game of improper clues that lead to very clean answers called More Dirty Minds. Thanks to Ed from It’s All About M.E. and Scott from The Satyrsphere for playing with us. Also, big thanks to Nicole, Christina & TJ from Greetings from Nowhere for singing our theme song. Other people you will hear include: Mike from Catching Up, Daniel from Dubious Intent +, Nessa from Hello Nessa, Daddy Dave & Romo from Pod Cubs, Taylor & Taffy from Pod Is My CoPilot, Jon & Nan from Secretly Timid, Big Fatty from Big Fatty Online, Wes from The Gay Life of a Country Boy, David from That Blue Jeans Guy, Christian from Pleased to Meet You, Matthew from Chaotic Ravings, and Blair from Instant Gratification. It was so fun to be there for the live show. Just as fun to listen to it again. Poor piggy … stop kicking it so hard. Thanks Dan! It was great hanging out with you in Vegas!